Buratai disclosed this during a Photo/Arts Exhibition which was part of activities to mark the week-long Nigerian Army Day Celebration (NADCEL). 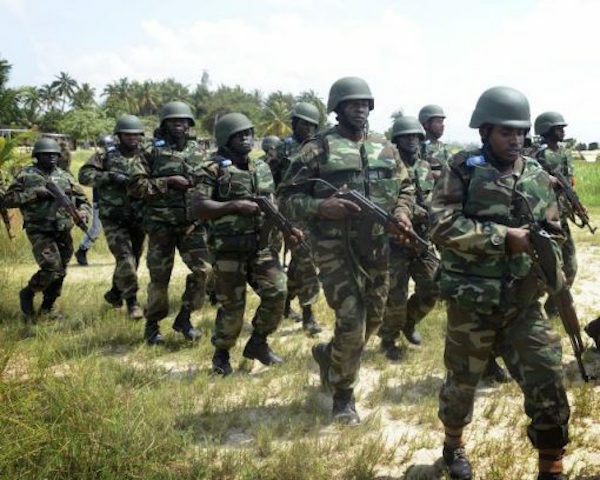 The army chief said “a short while ago, I received the good news that about 700 Boko Haram terrorists within the fringes of Sambisa Forest have surrendered. “Some others are in the process to surrender, This is a clear indication that the Boko Haram war is clearly being won. “The situation is being awaited; more details will come from the Theatre Command in Maiduguri later in the day. “I will like to congratulate not only our gallant troops, but indeed the Nigerian Navy and Air Force who are also operating in the North-East. Providing details shortly after the announcement, the Army Spokesman, Brig.-Gen. Sani Usman, said 70 of the surrendered terrorists were already being profiled. He explained that “preliminary investigation showed that among them were key commanders and influential members of the Boko Haram. “One of whom matches suspect number 225 on Boko Haram terrorists most wanted list released by the Nigerian Army. “So far, the surrendered terrorists have been making useful statements and it is expected that many more will surrender,’’ Usman said. In a remark earlier, Buratai said that the army had made “tremendous achievement’’ in the counter insurgency operations in the North-East. He described the exhibition as true way of capturing the facts on the ground just like motion pictures captured thousands of words. The Head of Civil Service of the Federation, Mrs Winifred Oyo-Ita, who was the special guest at the occasion, commended the army for the successes it had achieved so far in the war against insurgency. Oyo-Ita said that since its inception in 1863, the army had gone through a lot of transformation, making it much more professional, efficient and had recorded so many successes.